We believe in delivering results. 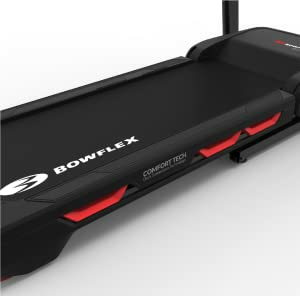 The Bow flex results Series Treadmill was built from the ground up to meet your fitness needs. 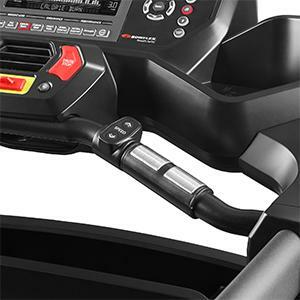 Starting with deep consumer insights and rigorous testing, we’ve built what will become the most highly decorated and Award winning treadmills and elliptical in their respective classes. 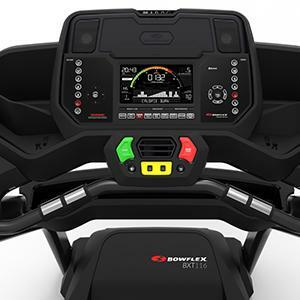 With free Entertainment and connectivity options, innovative real-time custom workout creation and impressive design, the Bow flex results Series Treadmill exceeds best-in-class specs against the competition.Bow flex burn RATE console focuses around the total calories you are burning every minute, pushing you to Go further, faster and achieve better results. 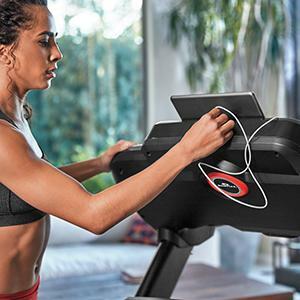 Walk, jog or un your way to incredible results with the Bowflex Results Series BXT116. Built to withstand the toughest workouts while delivering the connectivity, technology and motivation you need. 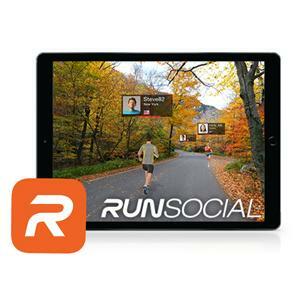 Bluetooth Connectivity: Capture your entire fitness journey and sync with free Results Series App or sync with free RunSocial App and run through 19 locations with 27 routes alongside friends in real time. The Comfort Tech design provides impressive impact absorption, a softer landing and unparalleled support. Plus, easily find your footing with a wide 20×60″ running path, designed with your results in mind. When it comes to saving space, Bowflex takes pride in engineering compact products that fit in nearly any room of your home. The T116’s Soft Drop design delivers the promise of safety with gas shock folding system that provides a gentle descent every time. – ‘Burn’ meter lets you gauge/adjust workouts to your personal comfortable level. – 7.5″ full color, back-lit LCD screen with 9 simplified ‘push and go’ intuitive workout programs. – Create and save workouts ‘on the fly’ with real-time custom programming. – Integrated handrail speed & incline controls. 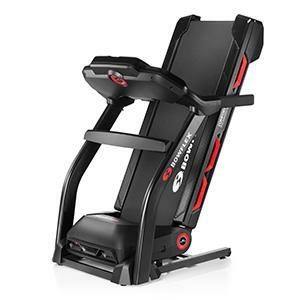 – Motorized incline up to 15% to vary workout intensity. – Includes integrated grip heart rate sensors, and chest strap. – Silicon, LED color lit buttons that boast quality, comfort to the touch, and visual engagement. – USB charging port, MP3 player, in-console speakers.